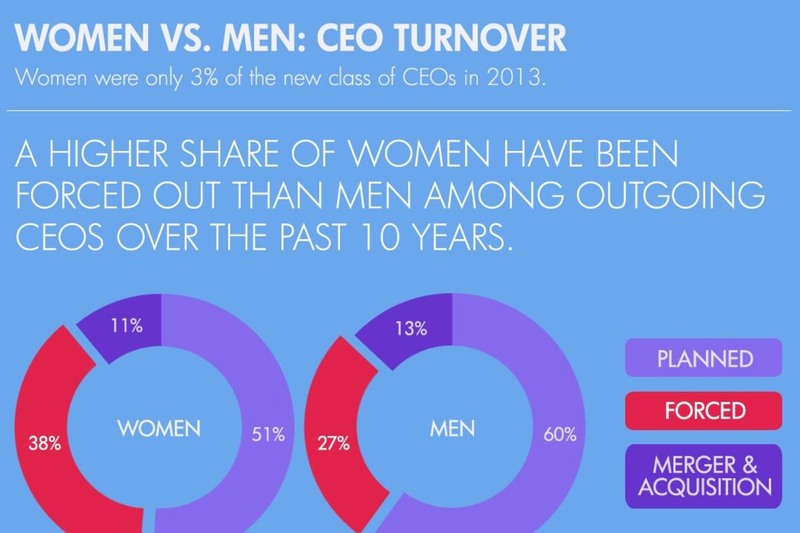 Infographic: Are Female CEOs More Likely to Be Dismissed? The New York Times' very public dismissal of Executive Editor Jill Abramson sparked a national conversation about whether female leaders face double standards in the workplace. A recent survey may support that perception. Researchers at Strategy&, formerly known as Booz & Company, found that when women leave office, they're more often forced out or fired than men. Still, while women made up just 3% of the incoming class of CEOs in 2013, the report projected that by 2040, women will make up about a third of new CEO appointments.